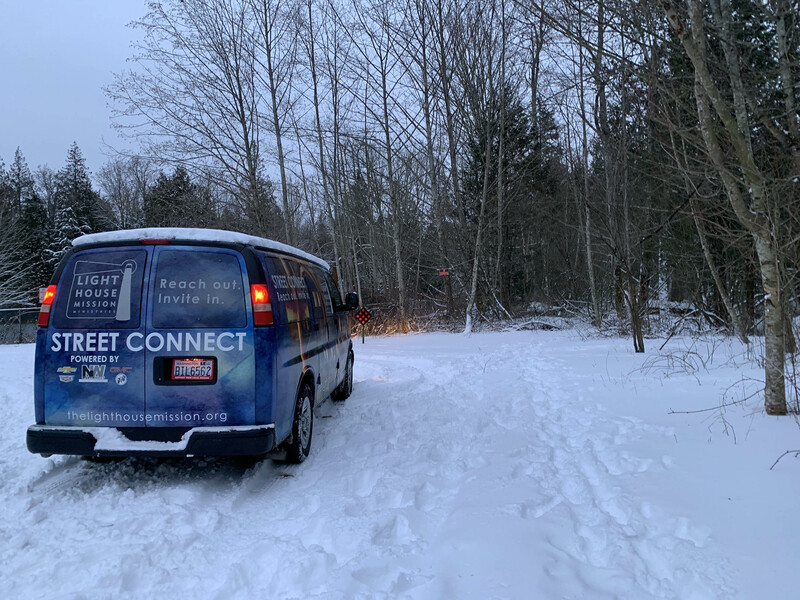 It’s been a year since the Lighthouse Mission launched its Street Connect program – and it has proven essential in linking the Mission to those who might otherwise receive few or no services, for a variety of reasons. Hans Erchinger-Davis, executive director at the Lighthouse Mission, explains how the program bridges their in-house services with immediate care. He goes on to detail how many homeless people have faced institutional breaches of trust in the past or may have medical conditions that increase paranoia, making it difficult for them to take the important steps toward receiving help. Relationship building is the first and primary role of the Street Connect team. 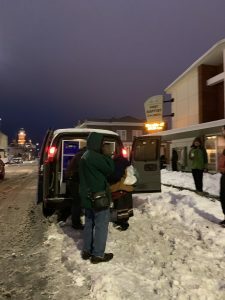 To that end, program hours were expanded during the last cold snap to get volunteers out on the streets, connecting and building relationships during the important period of day when a person on the street is most likely to decide whether or not to come in for the night. This helps provide encouragement and trustworthy faces on the spot, ready to bring people into the warmth of the Mission at a critical time. Volunteers even drive in those who need it. “It’s easier to come in when you have a friend there who is encouraging you to take care of your own safety and preservation,” Erchinger-Davis says. The Street Connect team also provides some basic needs. In the cold, this can mean blankets and sleeping bags, hand-warmers and such. 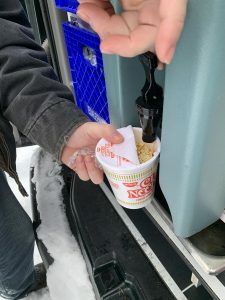 But it also means portable hot water and Cup O’ Noodles, peanut butter and jelly sandwiches for energy needs, and hot cider to warm cold hands and bodies. If they have them, the team will also hand out toiletry items, coats, and socks. The Mission has been in Bellingham for 95 years – because homelessness is nothing new. In fact, according to Erchinger-Davis, homelessness has grown by 10 percent every year for the last four years. The need is great and growing greater by the moment. 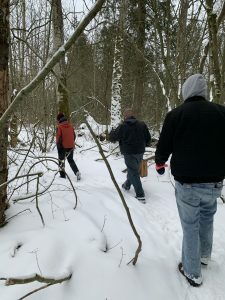 One year ago, there were 815 homeless in Bellingham; if those statistics remain steady, in three years we will pass 1,000. The street team engages with about 75 homeless people every night they are out, in addition to the 325 engaged by the Mission for sleeping, programs, or at the drop-in center. 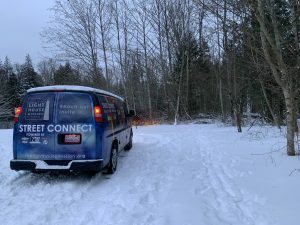 Last summer, the Street Connect program launched its shower trailer, which has been a tremendous success and now boasts several locations on different days, making the service available throughout Bellingham. But a key component of Street Connect has less to do with the homeless and more to do with the community that surrounds the homeless. Allaying fears and dispelling myths in the housed population ultimately creates a better integrated sense of community connection for both the housed and the homeless. Volunteers can sign up to help on their website. The Mission is always in need of items such as towels, blankets, and much more to support their programs, including Street Connect. A full list can be found on their donations page.